The purpose of Wow! Science Camp® is to spark, cultivate, and promote children’s interest in science, technology, engineering and math (STEM). We seek to attract more students to math and science, improve their performance in those subjects, increase college enrollment STEM fields and, ultimately, prepare students for STEM careers. In the past ten years, authoritative independent research has repeatedly highlighted the declining quality of education, especially science education, in the United States. Sponsored by Bayer and published in the report “Building a Diverse United States STEM Workforce: Perspectives on Creating Successful Business Education Partnerships” (2010), a survey of female and underrepresented minority chemists and chemical engineers identified lack of quality science and math education programs in poorer school districts and stereotypes that exist that say STEM is not for girls or minorities as top reasons that there is a limited number of women and minorities in STEM fields. The study recommends that educators should encourage and support students’ interest and passion in science, offer more hands-on science experiences, and make science exciting, interesting and fun. Notably, nearly sixty percent of participants in the study said they wanted to be a scientist by age 11. It is for all of the above reasons that Wow Science is committed to promoting children’s interest in STEM. Why a Hands-on Science Approach? Why does Wow Science place so much emphasis on hands-on experiments and projects? Why do you create project themes that emulate or simulate what scientists, technologists, engineers and mathematicians do in real life? Why do you visit factories or do-it-yourself locations to connect learning to real life activity? People generally remember up to 90 percent of what they do. See the chart below for details. Why So Much FUN and Other Activities at a Science Camp? Our camp offerings are carefully designed to achieve optimal impact in influencing children’s behavior toward science and math. For instance, children want to have fun in the summer. Like most of us, they would rather play than work, unless the work itself is fun! We have purposefully associated the learning of science and math with many fun and inspiring activities. Our approach of allowing children to do a project before learning the underlying scientific concepts keeps them engaged as they remain eager to see the end product of their effort. By adding important life skills such as etiquette and money management lessons, we break the monotony of doing STEM projects all day. The thrilling field trips erase doubts about remaining in the program. Promote students’ interest in science. A Bayer-sponsored study added to evidence that students can develop a lifelong interest in science at a very young age (Jemison, Mae C. 2010). Wow Science presents science in a manner that piques and nurtures young learners’ interest. An important element of our program is to demystify complex science topics. We engage participants in fun creative projects and experiments. As they watch their efforts come to life and are “wowed” by their accomplishments, we begin to teach the science behind their achievement. This approach has been proven extremely effective in sustaining interest in science. 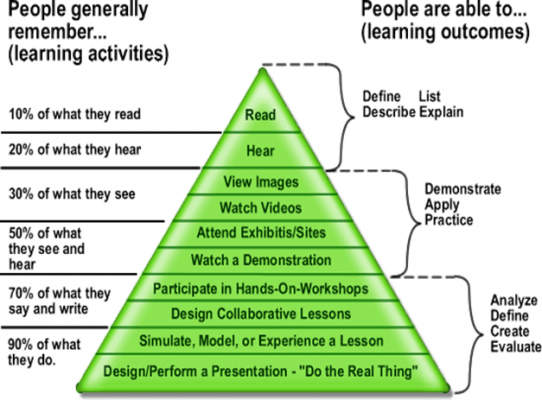 Reinforce classroom learning. A meta-analysis of 39 studies concluded that summer learning loss equaled at least one month of instruction during a regular school year (Cooper, H. et al. 1996). This loss is particularly pronounced in math, science, and other subjects that involve the acquisition of “factual and procedural knowledge”. Our program is designed to reinforce classroom learning and promote retention through fun, hands-on projects, math activities and simulations, and educational games. Expose children to career options in science. This aspect of the program is designed to help students understand that the astronauts, doctors, engineers, meteorologists, and other scientists they know and hear about were once normal, unassuming children. Our database includes 300 STEM jobs and the high school and college requirements for each of the jobs. These jobs are reviewed with program participants. They provide guidance, motivation, and help students understand that a successful STEM career is within their reach. Understand the intersection of art and science. Our STEAM (Science, Technology, Engineering, Art and Math) Initiative allows us to explore the intersection of art and science. If students cannot read or write well, for instance, they might have difficulty entering their field of choice in college. This is why we offer courses that focus in English language immersion, reading and writing, and various forms of art. Develop important social and collaborative skills. Students in our program work in groups of 3 to 5 to complete projects. The essence of this approach Is to harness different skills sets on each team and provide opportunities for students to collaborate as they work together to solve problems and complete projects. Improve the health and wellbeing of children. Breaks, play activities, lunch recommendations and targeted science lessons are designed to promote physical activity, healthy eating habits, and overall wellbeing. Teach money-management skills. We teach the value of saving and building wealth (e.g., personal finance, banking, investment, and tips for starting and running a business) as part of our curricula. Effective money-management skills help our campers as they strive to succeed as students and scientists. Teach proper etiquette and character. The purpose of our etiquette and character development lessons is to prepare children to confidently and successfully navigate any social setting. Promote experiential learning. It’s one thing to explore an idea in a laboratory setting. It’s a whole different experience to see how things work in real life. Our many thrilling field trips enable us to show our campers how things work in real. Campers who dream of becoming doctors, engineers, physicists or chemists, for example, see these professionals in action during some of our field trips.